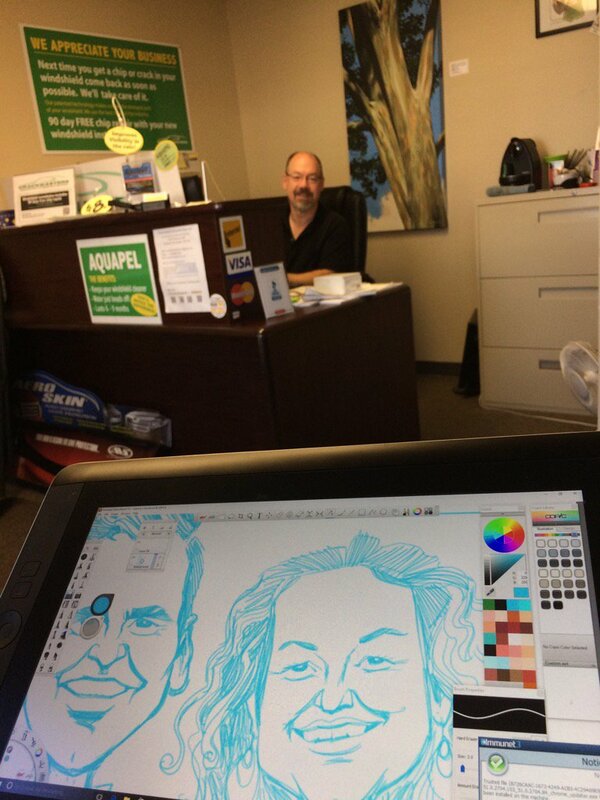 Today Laurel (Edmonton Artist) came in to keep me company between windshield repair appointments. I am getting a bit caught up on some paperwork and repairing windshields. Saturdays in the shop are usually booked solid but since it is nice out the guys wanted the day off. I had some nice chats with customers and so did Laurel. She is working on her tablet drawing digital caricatures. My customers have been quite intrigued by her art. I hope that you are having a great day wherever you are and that you have a super summer.